Robert Bruce: Who is it that — whether the chips are up or down — almost every organization depends on? 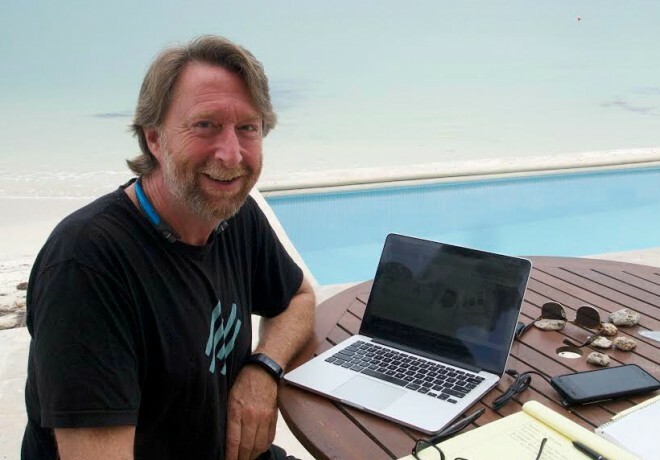 This is New Rainmaker, from rainmakerplatform.com, I’m Robert Bruce and today Brian Clark will answer these questions by taking us on a brief walk through his own professional story — as well as a few others that I think you’ll find … interesting. Brian Clark: Without a rainmaker, you’re in trouble. This was true for the Native Americans living on sun-bleached plains. When the life-giving rivers began to dry up from lack of rain, life became hard. The plants withered, the animals weakened, and the tribe despaired. It’s also true for businesses trying to survive and thrive in any economy. The rainmaker is the one who brings in the clients and customers, the revenue, and the profits. It’s the rainmaker who saves their own “tribe” from the withering despair — and dire consequences — of failure. In all cultures, the rainmaker is a powerful person. Secure, respected, and paid-in-full. Ultimately, the one who makes it rain makes the rules. The traditional business rainmaker typically enjoyed some unfair advantage outside of standard channels — this is how they made it rain. The right family, the right Ivy League connections, the right country club membership … privilege perpetuating more privilege. 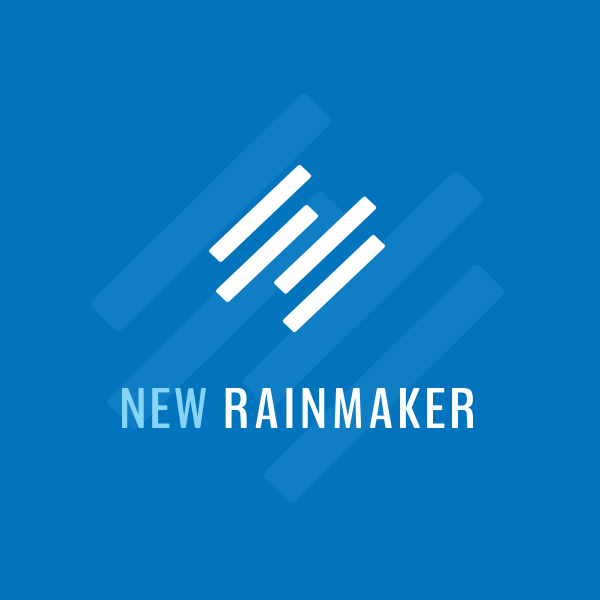 The new rainmaker also enjoys an unfair advantage — except in this case it’s now available to anyone who understands (and, more importantly, acts on) how new business generation works today, thanks to the Internet. This unfair advantage is now built on the principles of attracting and engaging an audience, not the circumstances of your birth. Robert Bruce: So you’re getting the basic concept of the rainmaker — what his or her irreplaceable role has been in business and culture throughout history. Now let’s see what that might look like in a very specific professional environment. For instance, which attorneys make their own rules in a law firm? Brian Clark: In my past life, I was an attorney. I didn’t much enjoy the practice of law, but looking back now, I realize that I learned two fundamental rules of smart business while doing my time in the big law firm environment. I was a liberal arts major with a law degree. I’d never taken a course in marketing or business … never even read a book. So naturally I end up practicing business law. I was a keen observer though, and the realities of the business of law made some things quite clear to this formerly idealistic young man. In addition to realizing that the practice of law often had little to do with the actual law, I discovered that success as an attorney often had little to do with technical proficiency. The best lawyers are not necessarily the highest paid or most powerful attorneys, whether in a firm or in a solo practice. The lawyers that had their name in the firm title were the most powerful in the firm, and it’s because they had the clients. Other attorneys worked for them handling these clients. Another type of attorney had a different form of power, in the form of a great life. They came in late and left early … often heading to the golf course. These people also had the almost magical knack at bringing in new business, and maintained relationships while worker bees like me racked up the billable hours. These were the rainmakers. And they made the rules that worked for the life they wanted to lead. Call me naive, but this was a revelation to me. Especially since I absolutely hated the practice of law. I realized that what I had to do was learn how to bring in business, not grind out more hours, if I wanted to succeed. The other foundational lesson I learned came from observing the firm’s business clients. Contrary to stereotypes, I discovered that the key to smart business was not screwing the other side, it was giving them the best deal — the absolute highest value possible — while also achieving your own goals. The idea of the rainmaker, combined with the understanding that you serve others to succeed, would form the basis of my improbable run as an Internet entrepreneur. Robert Bruce: Are you getting this? 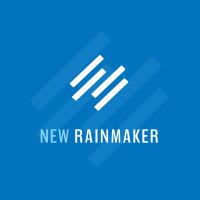 Just how important the rainmaker is to almost every organization you can think of? OK, now we get to the crux of these questions … where does this person come from, who gives her her power? Or, is it something she gives to herself? Brian Clark: Historically, the magical knack of making it rain was predetermined early on. For Native Americans, future rainmakers were chosen to become apprentices at a young age after showing an inherent capacity for a relationship with the weather. In business, future rainmakers were often chosen even earlier — by birth. Being born into the right family under the right circumstances opened up a lot of doors. You had an inherent capacity for a relationship with money, and those who had it and needed to spend it. Family friends, fraternity and sorority ties, Ivy League alumni networks, country club memberships — these were the connections that made it rain for a privileged few. These markers of social status generated new business outside of the typical marketing and sales channels, and left others to look on in envy as they did the work that the rainmakers brought in. Other rainmakers were pure hustle. They may not have had the connections initially, but they definitely worked the ones they had and made new ones. These were the born salespeople. I fit in neither group. As the adopted son of a truck driver, I had parents who taught me the value of hard work, and to treat others fairly and with respect, even if it wasn’t returned. But what they were not able to offer me was any sort of privileged access. I was really fortunate to be the first person in my family to attend college, and then went on to law school on school loans and part-time jobs. I was also, quite frankly, allergic to “hustle,” and still am. The idea, much less the practice, of in-person networking is tough for me. And I’d rather starve than knock on doors or cold call anyone. For the rainmaking Shamans, the potential for rain seemed to follow them wherever they went. The same seems eerily true for the business rainmakers. I wanted to figure out a way to become one of these people, despite the odds. I couldn’t change the way I entered the world, and I wouldn’t become the “sell ice to an Eskimo” type either, but I was determined to figure it out. Robert Bruce: The Internet. The promise of it was nearly limitless. Our friends — the old-school rainmakers of generations past — could never imagine in their wildest dreams that such a machine of communication, connection, and commerce could exist. But it does exist, and it’s turned “business as usual” on its head with the shift of power to the prospect, not the provider. And the question now becomes, how does the New Rainmaker put it to work for himself, his business, or his employer? Brian Clark: In 1998, I took the leap. I quit my promising law firm position, and vowed to make a living on my own terms or starve trying. I latched on to the idea of writing for a living, but I wanted no part of New York publishing or Hollywood screenwriting. Instead, I became convinced that you could reach people online by writing something worth reading. I saw people publishing ezines, which were essentially email newsletters covering pretty much any topic you could think of — tech, entertainment, odd facts, trivia — you name it. This was before blogs became popular. And these people were (apparently) making money by including advertising in their emails. I figured this had to be the path for me. I started up several of my own titles, focusing on movies and other entertainment subjects. I built email lists numbering in the tens of thousands, I got press in Entertainment Weekly, the local Austin paper and many other publications online and off, and people told me they loved my stuff. I think I made about $4 from some Amazon affiliate ads that first year. It was a lot harder to make money with advertising than I thought, and I discovered that what other ezine publishers were saying they charged for ads is not what anyone was actually paying. I was in trouble. My personal economic river was drying up from the lack of rain. So I had an idea. 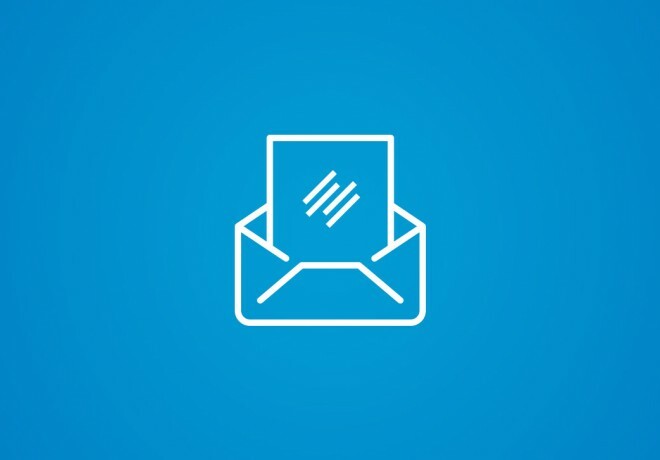 I’d start yet another email newsletter, this one about legal issues related to the Internet. I figured maybe I’d pick up some legal work here and there … enough to pay the bills and keep going until I could work out this whole advertising thing. I landed a client. Then another. And yet another. As it continued, I started turning prospects away and agreed to work only with people who gave me monthly work on retainer — just enough to pay the bills and eat better than Ramen. I basically had a small law firm running, but on my terms. Looking back, I could have built a much more powerful law firm with my name in the title — but I still hated the practice of law, and I knew better than to go down that path. And yet, my first turn as a rainmaker was addictive. I saw that the Internet was more of a direct sales medium than an advertising medium, and if you built the right audience you could make lots of money — if you had something to sell. After the dot-bomb exploded, my advertising-based efforts were finally euthanized, which was a tough-love blessing. I started making plans to start up a new company where I could use my online marketing knowledge and skill in an “offline” industry with something to sell. And what’s more offline than real estate? Long story short: Between 2002 and 2005, I started two real estate brokerages from scratch out of a collection of websites. I made more money than I made as an attorney, and then some — and every bit of business that came in was generated by the content I created and the strategies I put in place. I didn’t particularly have a passion for real estate any more than law, but I had proved the point I needed to prove to myself. I could become a rainmaker on my own terms, using innovative approaches that had nothing to do with privilege or outbound sales tactics. Between 1999 and 2005, I went from someone who was absolutely clueless about marketing to a scholar of advertising, direct marketing, and copywriting techniques dating back to the 1920s. The underlying fundamentals still applied (and they still do), but the context of the Internet makes the application very different. In January 2006, I started a blog to share what I knew, which quickly evolved into an online magazine that became the centerpiece of the multi-million-dollar company I run today. I didn’t have a particular product or service to sell in the beginning, but it didn’t matter … I knew that building an audience was the crucial thing, and that they would reveal what they needed. I had found my rainmaker magic – and it was media, not marketing. Robert Bruce: This is an incredibly interesting and revolutionary time for media creators of all kinds. There are no gatekeepers on the Internet, which means no one can tell you no or what to do. On one hand, the Internet presents an endless — and largely free — canvas on which to work and distribute that work. On the other … there exists a constant tension in the minds of many between the desire to get paid, and the pressure to give their work away freely online. Should you wall off your work and then drown your audience in promotional and advertising messages? Should you give everything away and just hope for the best? Brian Clark: If you’ve been following me for any length of time, you know I’ve been teaching people online marketing for over 8 years. Specifically something that is now known as content marketing. The key point being that this type of marketing is different from traditional marketing, but it accomplishes what marketing is supposed to do. And it’s these differences that cause so many people to struggle with it. First of all, there’s the word content. What a horrible term to characterize what are essentially creative works — whether articles, audio, movies, books, and music. It’s all technically “content” — like something that fills a bucket. But worse, I think, is the word marketing itself. Like I said, what we’re talking about here does what marketing is supposed to do, but it operates in a way where people actually want it instead of wanting to avoid it. Once you tell traditional marketers it’s “marketing” though, the traditional practices creep right back in, and people start running away from it. And that’s the problem. Let me give you a few examples of why I now say media, not marketing. I was a Marvel kid growing up. Spider-man, X-Men, Captain America … these were the characters that fueled my imagination. So when these same characters came back into my adult life through blockbuster films, I was thrilled — and even more thrilled that they were really well done. But did you know Marvel was in the throes of complete failure 20 years ago? The iconic comic book publisher was bought and turned around, emerging out of bankruptcy in the late 1990s with a new plan. The X-Men movie franchise began in 2000. But things really busted loose in 2002 with the first Spider-man movie, which did a combined billion dollars in ticket and DVD sales. Contrary to what you might think, Marvel only received a tiny fraction of that haul. They had neither the cash nor the expertise to produce a blockbuster film of that caliber, so they took their characters to the big studios. While they only received a small licensing fee, they also laid out zero cash and took zero risk related to the films. Marvel was in the business of merchandise to produce revenue. Comic books, video games, t-shirts, toys, and scores of other consumer products … you name it. Marvel relied on partnering studios to created multibillion dollar “commercials” for its characters — these commercials are called movies. These “commercials” were not in the form of advertisements that people wanted to avoid. To the contrary, people paid good money to watch these amazing stories that fueled Marvel’s business model. In 2009, Disney acquired Marvel for $4.2 billion dollars. How about another example … one that doesn’t involve iconic superheroes. There’s a cable reality show that my wife watches. It’s called Love it or List It, and it’s a Canadian production that airs in several places, including the Home and Garden channel, or HGTV. Each episode involves a home that is simply not working for the owners. Usually it’s too small for a growing family, poorly configured, hopelessly outdated, or all of the above. The show’s stars are Hilary Farr, a designer, and David Visentin, a Realtor. Hilary takes the budget the owners can manage and works up a plan to redesign the home so it will work again for the family (this is the “love it” outcome). David, on the other hand, looks for other homes that work as is within the purchasing budget to convince the owners to sell and move (this being the “list it” scenario). So Hilary and David are full-time TV stars, right? Uh, no … not on a niche reality show on basic cable. Both continue to be practicing professionals. Let’s take a closer look at David, who works along side his father Nick Visentin as a Canadian Realtor for Country Living Realty in Barrie, Ontario. David actively sought out the role on Love it or List it by auditioning for it, and likely won the part not only because he knows his stuff, but also because he’s not afraid to be himself. Do you think David gets plenty of new business thanks to the show? You bet. Do you think those new clients feel like they were marketed to, such as they might if they chose a Realtor based on … I don’t know … the post cards that stuff the mailbox each month, or the glamour shot on a bus stop bench, or the cheesy magazine ad claiming to be the “Number One Realtor”? You get my point. David demonstrates his expertise while reaching prospective customer via a media production that people actually enjoy watching. Now, let’s look a one more example, where the exact same dynamic is at play, but no television show or audition is required. Gary Vaynerchuk owns a wine shop along with his parents in New Jersey. To grow the business, Gary built an online platform called WineLibrary.com, which is an educational resource for wine buyers that naturally helps move product. Vaynerchuk then took the next step with Wine Library TV, a self-produced video show starring just him, from a table in the corner of the office above the store. Gary turned traditional “wine talk” on its head, dispensing with elitism and opting for plain spoken advice and even bombastic commentary on his wine recommendations. Gary’s DIY wine show grew to an audience of 100,000 people. More importantly, the wine business grew from $3 million to a $45 million. 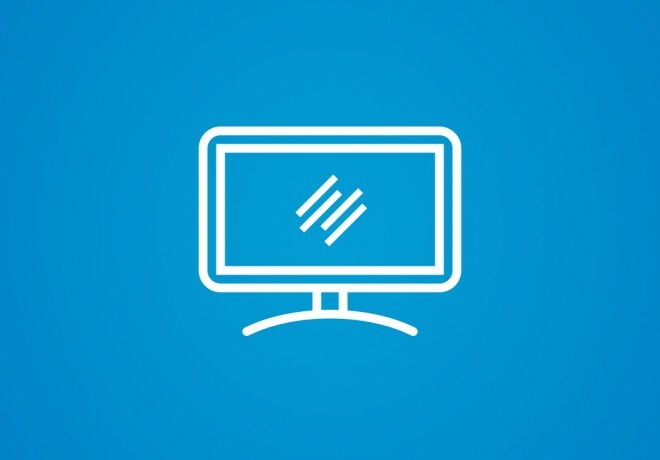 Brian Clark: From each of the three examples, a media platform performed the role of what marketing is supposed to do, but rarely does anymore. And in each case, a rainmaker emerged. There’s something that Spiderman, David Visentin, and Gary Vaynerchuck have in common, and it’s a personal media brand. This is what works to generate a flood of business in the age of media, not marketing. And yes … it will work for you.